A mother's account of the death of her newborn son has been turned into a book in the hope it will help other mothers heal. Rebecca Blithe meets the author. 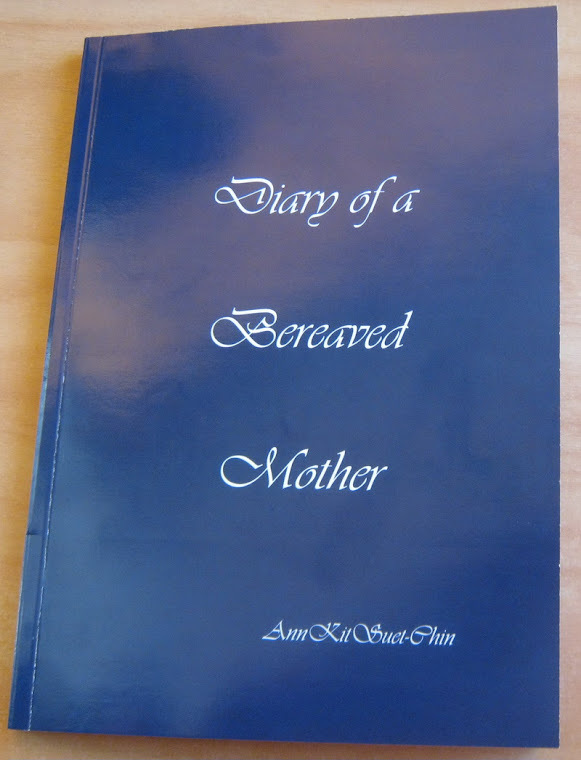 "The specialist said, 'You're going to have a normal baby'," says Ann Chin, as she sits with a pile of her recently published book, Diary of a Bereaved Mother. But the days that followed the birth of her son, Andrew, proved anything but normal. "Once I had my baby they realised he was dying," she says, of his diagnosis of Campomelic syndrome; a bone and cartilage condition resulting in short limbs and breathing problems because of a small chest capacity. Auckland's 'Day of Death', would you go to a cemetery's open day? The cemetery is New Zealand's largest, and the final resting place for over 70,000 people. At 108 hectares, it is also one of the region's largest public parks. On Sunday, it will try to demystify the morbidity of death, displace some of the apprehension around cemeteries and burial practices, explain the historical relevance of cemeteries and explore cultural differences in the treatment of lost loved ones.